Join Old School, Heavyset, and Karp, as they review Captain Marvel, Dumbo, Us, Pet Cemetary, Hell Boy, and Shazam! Join Old School, Heavyset, and Karp, as they review Bumblebee, Aquaman, and Escape Room! Very sorry for the delay folks! Heavyset and Old School discuss their top 5 for 2018. Join Old School, Heavyset, and Karp, as they review Bohemian Rhapsody, Ralph Breaks The Internet, and Creed 2! Join Old School, Heavyset, and Karp, as they review A Star is Born, Halloween, Slender Man, First Man, Bad Times At The El Royale, Predator, and Venom! Join Old School, and Heavy set as they review Venom, Searching, and Night School! Join Old School, and Heavy set as they review The Meg, The Nun, Mile 22, Searching, Christopher Robin, and Peppermint! Join Old School, Karp, and Heavy set as they review Equalizer 2, Mission: Impossible Fallout, and Hotel Transylvania 3! Join Old School, Karp, and Heavy set as they review Jurrasic World - Fallen Kingdom, Ant-Man 2, TAG, The Purge 4, and Won't you be my neighbour! Join Old School, Karp, and Heavyset, as they discuss the week's movie news and rumours, and review Life of the Party! Join Old School, Karp, and Heavy set as they break down their thoughts on Avengers: Infinity War. Join Old School, Karp, and Heavyset, as they break down their top 6 MCU movies. 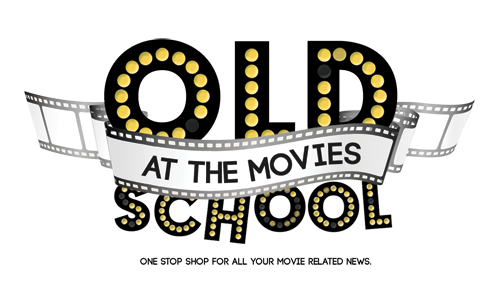 Join Old School, Karp, and Heavyset, as they discuss the week's movie news and rumours, and review A Quiet Place, Blockers, and Ready Player One! Join Old School, Karp, and Heavyset, as they discuss the week's movie news and rumours, and review Tomb Raider! Join Old School, Karp, and Heavyset, as they discuss the week's movie news and rumours, and review the movie Game Night. Listen this week as Old School, Karp, and Heavyset review Black Panther and The Shape Of Water... Oh and that movie where "sexter" makes that chick sign a bunch of non-disclosures. Listen this week as Old School, Karp, and Heavyset review Maze Runner, The Death Cure, and The Greatest Showman. Join Old School, Karp, and Heavyset as they discuss their top 5 movies of 2017.